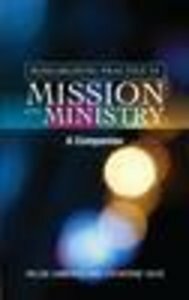 This book proposes to bring together three elements for the benefit of those researching practice in ministry and mission:. how to design research that enables questions about practice to be answered in a theological framework.. how to address the methodological and epistemological issues that arise in relating empirical research to theology.. how to manage a piece of research as a project alongside other responsibilities.Students in PT mostly rely on research methods books written for social science students which tend to assume that the student is young and full-time. This book will act as a companion to student and supervisor needing to bring all three elements listed above together. About "Researching Practice in Mission and Ministry"
Catherine Duce is the Fieldworker of the Action Research: Church and Society project at Heythrop College and the Oxford Centre for Ecclesiology and Practical Theology.